I believe “The King and I” had already been used, so I went with “Me.” Anyway, I got to meet Richard Petty the other day so I thought I would tell you about it. That’s my hand in the bottom left corner of the pic above. As I’ve mentioned many times before, I am a big fan of the Chrysler cars from the 1960s and 1970s. I’ve owned one and gotten to drive a few others. I don’t even mind if they aren’t powered by piston engines. 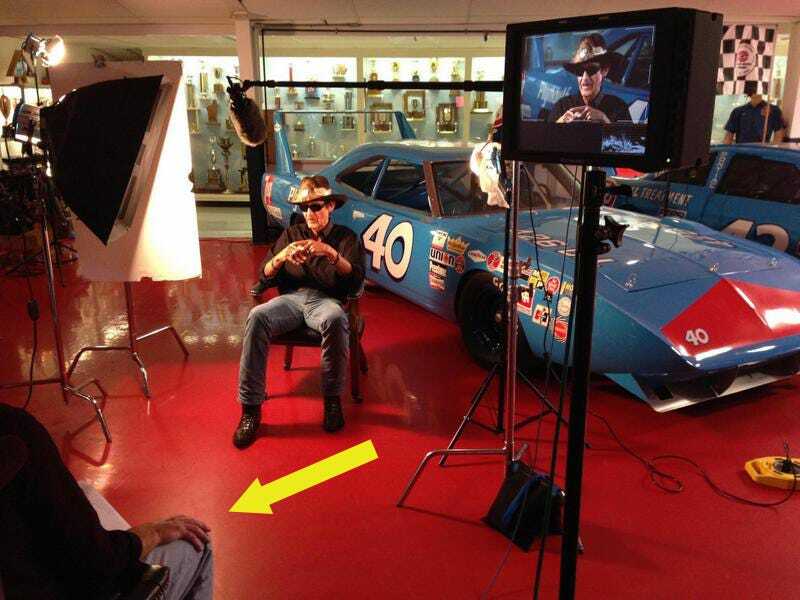 And I recently got the chance to visit Richard Petty’s Museum and garage near Randleman, N.C. If you are into old school NASCAR it is well worth the visit. As you can imagine, there is a lot of Petty blue on the property. And a lot of Hemis. In fact, they have so many Hemis that there are some just sitting around, looking for an engine bay to climb into. And yes, that is the Pete Hamilton #40 Superbird behind it. Pete drove that car while Richard drove the #43 Superbird in 1970. So much history, so little time. The King won 200 races - 27 in one season! And he’s a heck of a nice guy. We sat and talked for about an hour and if all goes well, you’ll be able to see the interview in a documentary somewhere down the road. Turns out documentaries take more time to make than books do. And as always, I have to mention I have a new podcast up. In case you thought I may have forgotten to record one amidst all the excitement and travel.